For the first day, all I did was sweep over the twists diagonally to one side. Then I pinned down the shorter ones that did not reach the other side. The ends were rolled and tucked over. I then secured with pins. 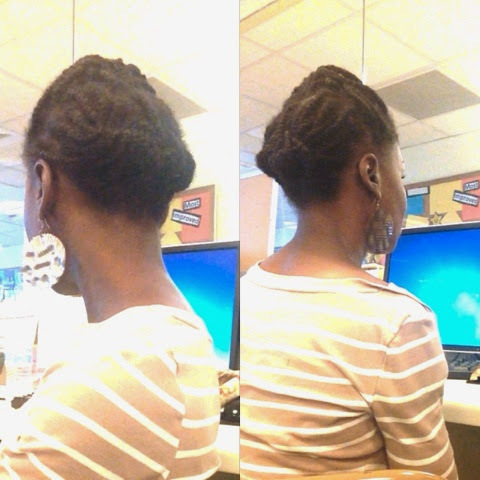 I sectioned the twists into two equal parts, front and back. I rolled the front part backwards and tucked the twists under. I secured with two bobby pins. The back part was rolled up, tucked under and secured with two pins as well. 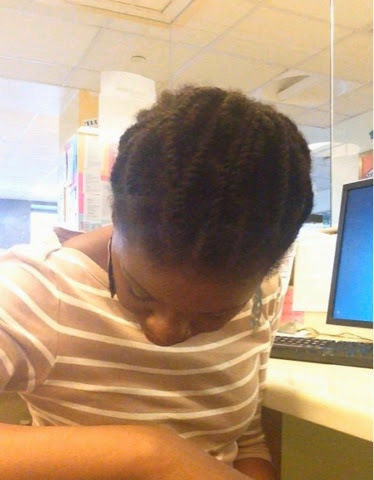 I do not touch these twists without applying oil first to them . Since I am touching them so much, they can get very frizzy. 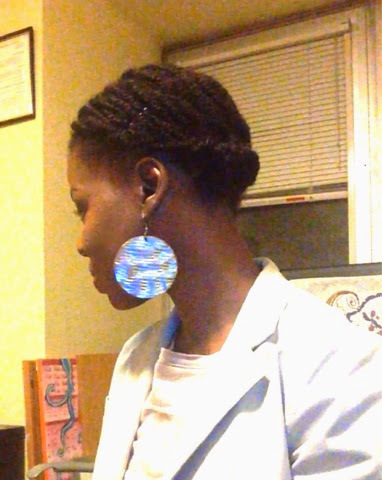 Applying a little bit of oil to my hands when manipulating the twists combat frizzes. This will also help make a nice twist- out. Every time I see roll, tuck and pin I can't help but think of stop, drop and roll. You hair looks great!